Travel New Orleans and place yourself in the center of the city&regs most lively and well-known area by reserving your lodging at the Holiday Inn New Orleans French Quarter hotel. 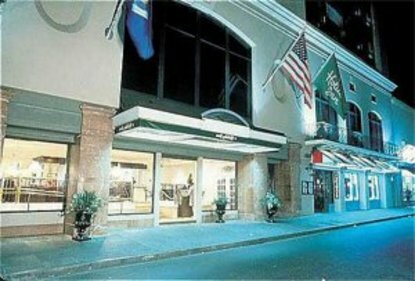 For full service hotels in New Orleans LA, this hotel on Royal Street offers 20 floors with 374 guestrooms including upgraded executive king rooms in the French Quarter, the popular heart of the city. Relax in a well-appointed guestroom with excellent amenities, knowing an amazing array of shops, restaurants, nightclubs and attractions are just steps from our doors. This FrenchQuarter hotel also provides convenient access to famous New Orleans events. Join thousands of revelers who throng the streets in a five day pulse-pounding extravaganza during Mardi Gras. Groove to the pulsing rhythms of famous musicians who dazzle fans at the annual Jazz and Heritage Festival. Additionally, exciting New Orleans Saints games at the Superdome, the Essence Music Festival, Bayou Classic and the Allstate Sugar Bowl are must-see events among visitors. On site, discover highly accommodating facilities, offering The Checkered Parrot Restaurant for breakfast, lunch and dinner, a sparkling indoor pool and a workout room to help you keep up with your active lifestyle. Holiday Inn New Orleans French Quarter hotel offers an unrivaled locale and relaxing accommodations exquisitely paired with thoughtful amenities and first-rate service. This hotel is committed to providing accessible facilities under the American Disabilities Act. If your accessibility needs are not met, please contact the Hotel Manager on Duty. Should you require additional information regarding accessible facilities for guests with disabilities, please call 1-800-Holiday (U.S. and Canada) or contact the hotel directly. For the hearing impaired, TDD service is available at 1-800-238-5544 within the U.S. and Canada.